Located at the busiest intersection in Schwenksville with great visibility you will find this spacious commercial property. Zoned Village Commercial 1 with uses such as bed & breakfast, office, studio, personal services as well as several conditional uses. 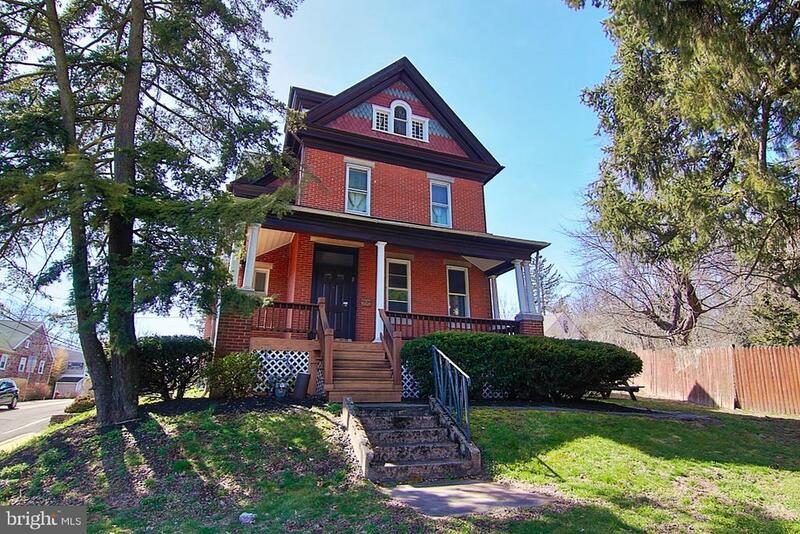 Original front Victorian was built in 1903 and exudes charm and character such as high ceilings, open staircase and natural woodwork. The attached rear addition includes several offices, kitchen and 2 restrooms. There are two second floor apartments. The first being a 3 bedroom, 1.5 bath unit with private laundry and bonus room. The second unit features 2 bedrooms, 1 bath, laundry and private balcony. Each unit is spacious and well maintained with good long term tenants. Property is serviced by natural gas and central air with 3 zone heating. Secure entry for all units with video surveillance. 3 bay garage offers additional potential income. Parking allows for approximately 15-20 cars. Contact Schwenksville Borough for specific uses.